Take a walk on the sultry side with the NEW limited edition jane iredale Smoke & Mirrors Smokey Eye Kit – a palette that's set to enhance and define your eyes. The versatile palette can be used to create both a subtle shimmery glow or a glamourous dark smokey night look. With its combination of softer neutral tones and strong smokey hues, the Smoke & Mirrors kit lets you highlight, define, contour and illuminate the eyes in one convenient compact. The kit also includes a 'how-to" guide so that you can now create your favourite smokey eye looks, from elementary to sophisticated, under the expert guidance of jane iredale. 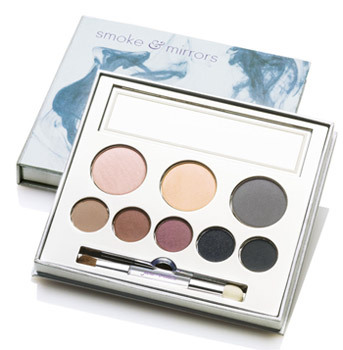 Made from the highest-grade minerals available, Smoke & Mirrors gives a crease proof finish that will stay fresh all day. 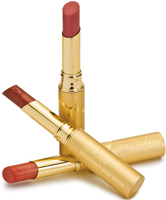 As with all other jane iredale products, Smoke & Mirrors is made without synthetic dyes, fillers and chemical preservatives, making the formula safe and nonirritating to the eyes. Packaged in a beautiful travel box with a mirror and dual-ended application brush, the Smoke & Mirrors Eye Kit is also a wonderful travel kit or gift for your favourite makeup mavens. Indulge in the sultry deep hues of jane iredale's limited edition Smoke & Mirrors Eye Kit for head-turning eyes from day to night!